Visitors who prefer a more leisurely tasting experience can relax at The Bistro. The Bistro offers a comfortable, friendly setting reminiscent of a European café. Sip indoors or savor an al fresco moment in the courtyard by the reflecting pool. A suitable spot even for our younger guests, who can borrow wooden sailboats to sail in the courtyard fountain, just as in the Luxembourg Gardens in Paris. Check in at the Visitor Center to gain access to the Bistro which offers wines by the glass or by the bottle. Additionally, guests may enjoy soft drinks, coffee drinks, bistro bites, cheese and charcuterie. Cigars are also available for purchase. *We regret that due to county regulations there is no outside food permitted on property and picnicking is not allowed. 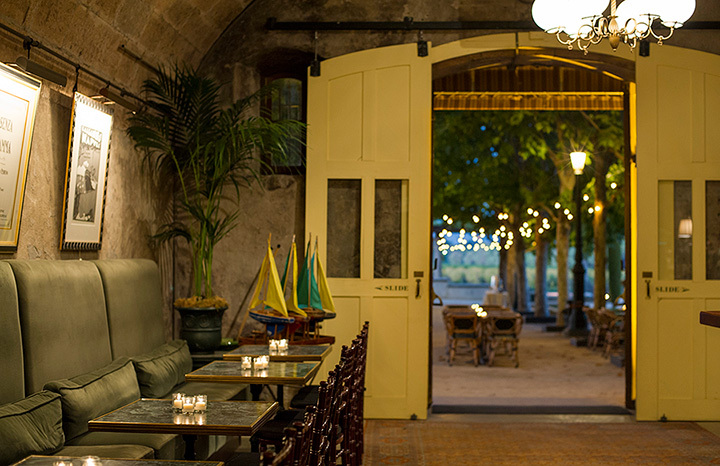 Inglenook does offer food and wine pairings for your enjoyment.